Use of Random Generators – thoughts..
My last blog post was looking at the use of random name generators as a way of helping to engage students and elicit responses from all students rather than the simple use of hands-up. Having just participated in some discussion with colleagues, whilst it is recognised that random name generators can be very useful in many situations, one issue raised is that they don’t allow for differentiation if you ask a question first and then use the random generator to select a student. Just as using a random generator wont be appropriate in all situations anyway, the way you use the generator is important, depending on the desired outcome. Randomly generating the name and then ‘tailoring’ the question to differentiate as necessary is one way (in this instance one of the more discrete generators such as the “No Hands” student selector might be appropriate). 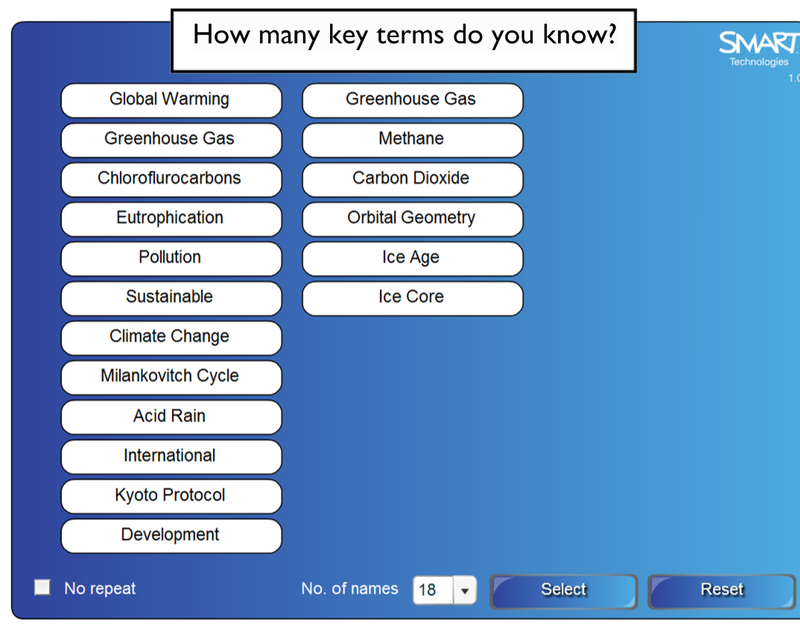 You could also put key terms into a generator rather than names so the generator will randomly select a key term and you then ‘differentiate’ by who you might select in the class to define the key term (or answer a question related to it). This would still maintain engagement as all students would be more likely to consider the meaning of the term whilst waiting for you to select a student to answer the question.